Well, this was. She reminded me we were scheduled to be the volunteers assisting with communion (thank you Jessica). For the next few minutes, I stood in front of our church, doing a better job of holding the cup than holding in my emotions. 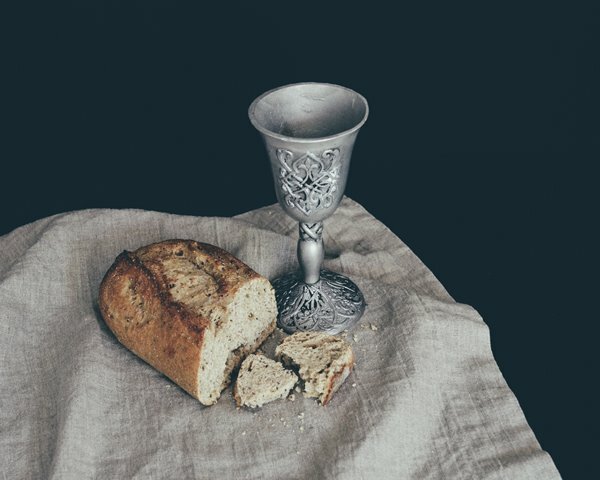 As each person came by, I had to say, over and over, “the blood of Christ, shed for you.” I can’t really explain all the things I felt in that moment, but the overriding experience left me filled with gratitude. As we take time this week to remember the death and resurrection of Jesus, may we not forget the way He cast aside his power, protection, privilege and control…and made himself vulnerable for our redemption. And may God be with us as we are called to “take up our own cross” and follow Him.